We actively encourage our customers to kindly leave us some feedback on how we perform our duties. By completing the form at the bottom of the page it helps us know what our customers think and tailor our services accordingly. Consistently been a reliable service from Ralph. Punctuality and driving is outstanding. Would highly recommend. Quick to reply, prompt, informative, helpful and amiable. We’ll definitely use Thistle again! Don’t even bother looking elsewhere, excellent service. We have waited ages in security and another time baggage problem and still met with a friendly service and not a penny more. Could not recommend highly enough . 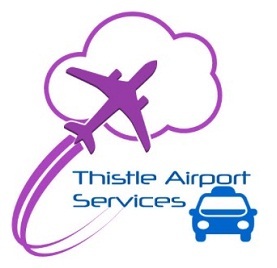 What a find it was, locating a local Fife company who specialise in airport services only, allowing them to focus totally on the customers needs. I have used the service supplied by Ralph on numerous occasions, with never any fault found (even when on one occasion, our flight was 1 1/2 hours late). Keep up the good work. I have used Thistle many times. Have never experienced a single problem. Always on time. Ralph is always so cheerful and friendly. I highly recommend. Five stars!